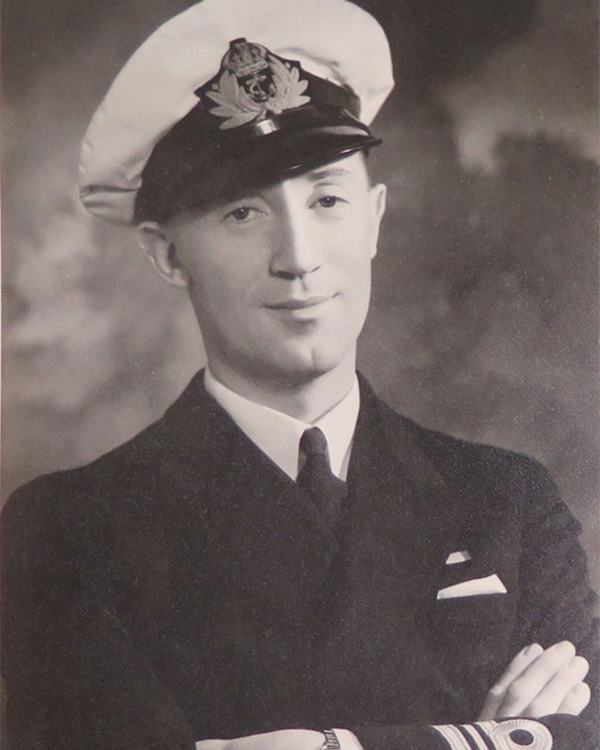 During the Second World War, Nigel Clogstoun-Willmott founded the Combined Operations Pilotage Parties (COPP) to undertake covert beach reconnaissance. 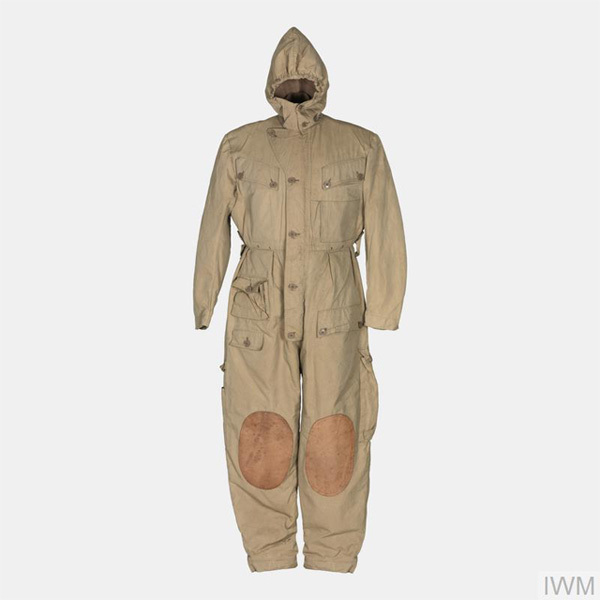 This proved vital for the success of Allied seaborne invasions. 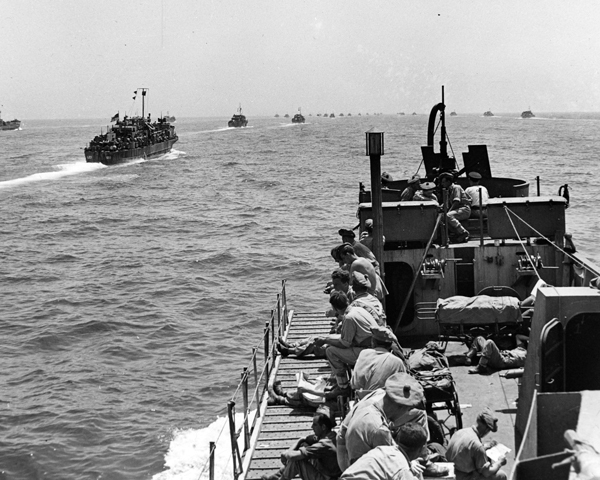 Amphibious assaults are among the most hazardous of all military operations. Not only do they require the precise co-ordination of land, air and naval forces, they can also fall victim to a wide array of problems associated with landing on unfamiliar enemy coastlines. These range from hidden rocks and sandbanks, through to rough tidal conditions, unsuitable sand and shingle texture, steep beach gradients and restricted beach exits. 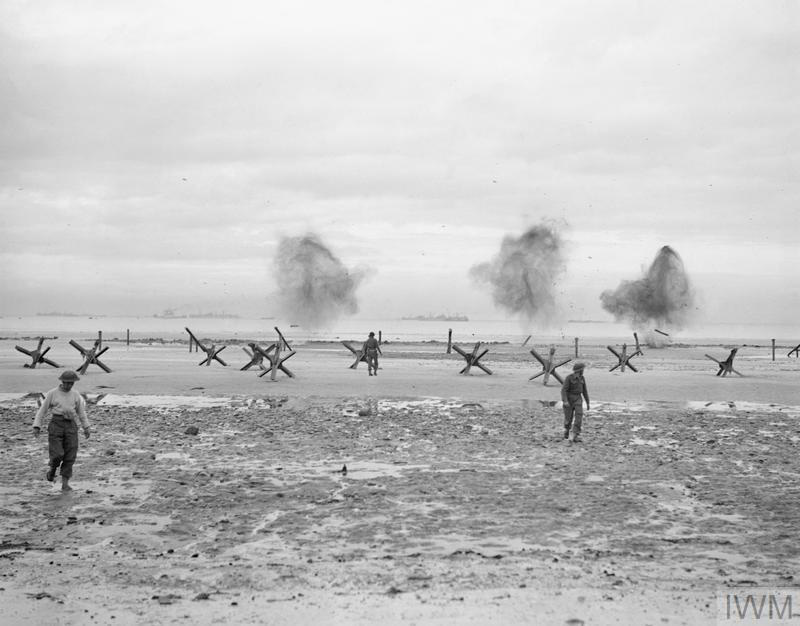 Natural hazards can be compounded by a variety of enemy defences, including mines, beach obstacles, pill boxes and gun emplacements. One man who fully appreciated the severity of these risks was Nigel Clogstoun-Willmott, an expert navigator in the Royal Navy. He recognised that amphibious forces need to be carefully guided in by men deployed to coastal waters ahead of the fleet. Furthermore, he understood that these problems could only truly be solved by conducting detailed reconnaissance of the proposed beach landing sites: work that would have to be undertaken by men skilled in navigation, hydrography (marine surveying) and engineering, landing covertly on the beaches at night. Beach reconnaissance was one of the most secretive and dangerous of all special forces work. The men involved had to operate under the very nose of the enemy, knowing that, should they be captured and interrogated, their information could jeopardise the entire operation. Clogstoun-Willmott was born in Shimla, India in 1910. 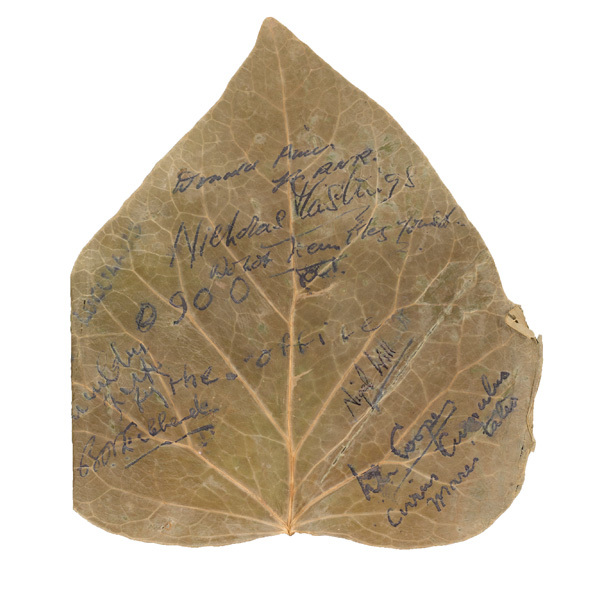 His father held a senior engineering position and worked on major infrastructure projects across northern India. At the age of eight, he was sent to England for his education at Lambroke School and Marlborough College. He joined the Royal Navy aged 17, specialising in navigation and gaining a reputation as an original thinker and problem solver. His awareness of the difficulties of landing on enemy coasts was acquired early in life. His uncle ‘Cloggy’ had been badly wounded in 1915 at Gallipoli, the first great amphibious operation of modern times. Clogstoun-Willmott gained first-hand experience of these dangers during the abortive Norwegian campaign of 1940, where he served as a Beach Master for the landings at Narvik in the far north of the country. Charming, courteous and good-humoured, he was also a serious military professional. He thought deeply about the lessons of this campaign and how amphibious operations should be conducted in future. In 1941, Clogstoun-Willmott was in the Mediterranean attached to ‘Layforce’, a commando group deployed to the Middle East. Layforce was tasked with an assault on the Italian-held island of Rhodes, and this provided him with his first opportunity to put his ideas into practice. 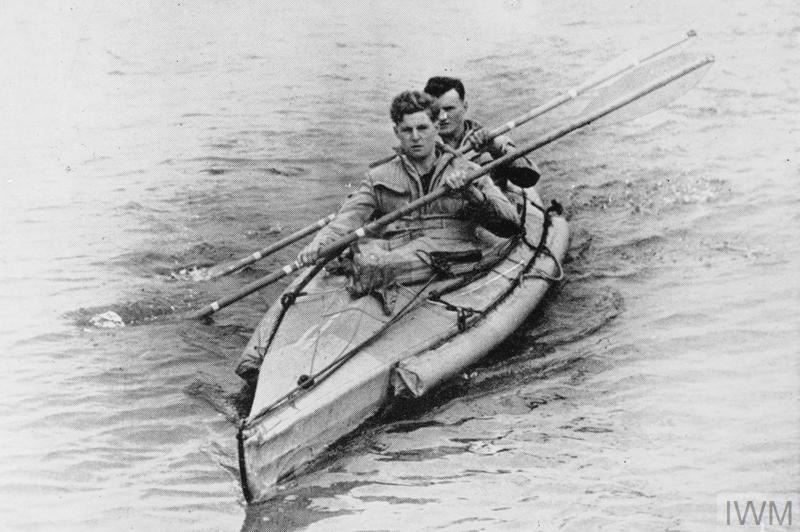 To carry out this work, he teamed up with Captain Roger Courtney, a canoeist who had recently founded the Special Boat Section, partially with maritime reconnaissance work in mind. Together, Courtney and Clogstoun-Willmott undertook the first ever in-depth military beach reconnaissance. Their equipment ranged from crudely improvised cold-water suits comprising heavily greased long johns and jumpers, to the latest infra-red signalling device and the simple chinagraph pencil for taking notes in wet conditions. The mission was a great success. Both men were decorated, Clogstoun-Willmott receiving the Distinguished Service Order. But the valuable information gleaned from this work was never put to use. The operation was cancelled when the British were drawn into a forlorn attempt to halt the German invasion of Greece. Here, Clougstoun-Wilmott again worked as a Beach Master, organising the evacuation of British troops. Among the last to leave, he only narrowly escaped capture by commandeering a Greek caique and sailing it to Egypt. It was not until August 1942, in the wake of the failure of a large-scale raid on the French port of Dieppe, that the importance of Clogstoun-Willmott’s ideas belatedly began to be recognised. Admiral Louis Mountbatten, Director of Combined Operations, asked him to form a team - codenamed ‘Party Inhuman’ - to assist with Operation Torch, the invasion of French North Africa. Success in this endeavour led to the establishment of the COPP in early 1943. The COPP’s first task was to undertake reconnaissance for the forthcoming invasion of Sicily. But poor training and equipment meant that, this time, success came at a heavy cost. 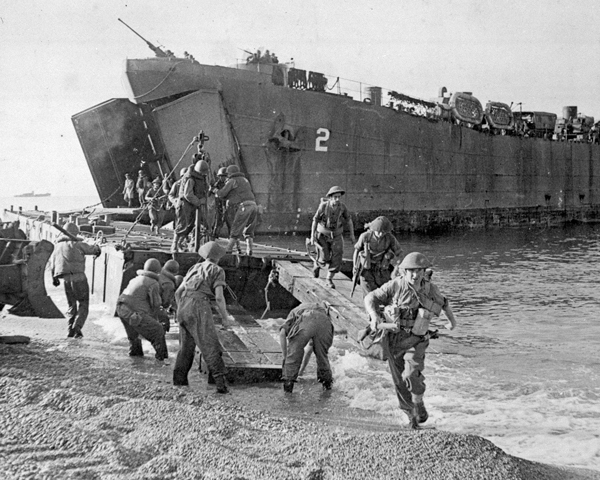 Only four of the 16 men assigned to the task came back. Thereafter, Clougstoun-Wilmot, by nature a martinet and training enthusiast, worked with Mountbatten to ensure that the COPP got the time and equipment it needed to prepare. Re-invigorated, the COPP teams succeeded in playing a valuable role in the Allied landings in Italy. The D-Day landings presented the COPP with its greatest challenge. 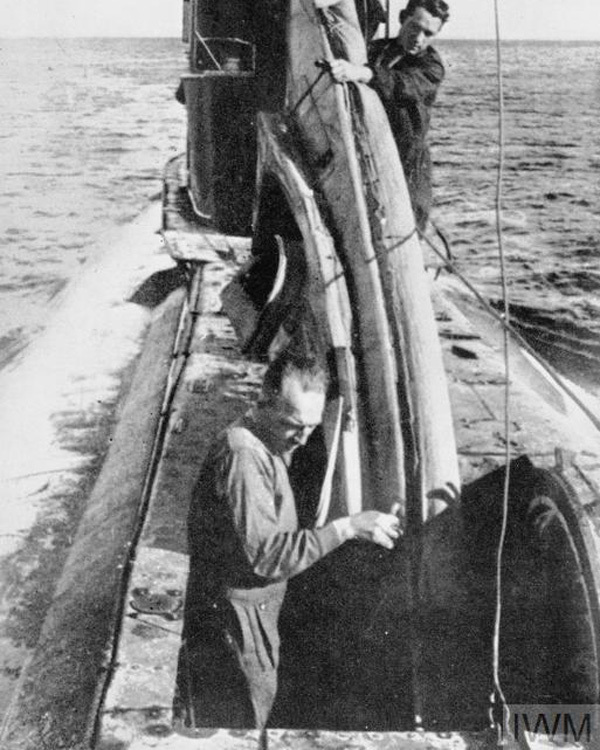 For the invasion of France, COPP teams were now equipped with miniature submarines known as X-craft, as well as specialist landing craft and diving gear. They conducted a full survey of the prospective beaches and brought back samples for analysis to confirm that heavy vehicles would be able to advance across them. On D-Day itself, COPP teams deployed ahead of the vast invasion fleet to guide it safely in. This scientific approach to warfare was an integral part of the planning for what was the most complex military operation of all time. While D-Day was the pinnacle of the COPP’s work, the unit also saw important service in the Far East and the Mediterranean. In 1945, it facilitated the Rhine crossings into the heart of Germany. After the war, the work of the COPP was integrated into what has now become the modern Special Boat Service. Their knowledge and expertise was of particular value for the amphibious landings of the Falklands War in 1982. In later life, Clogstoun-Willmott took on a variety of jobs with the Navy and also served with MI5. In retirement, he continued to enjoy an active life as a sailor until a few years before his death in Cyprus in 1992, at the age of 81. The work of the COPP was so secret that it was not revealed until well after the Second World War had finished. Even today, Clogstoun-Willmott and the men of the COPP remain the unsung heroes of the Special Forces.